These are lyrics by Sisqo that we think are kind of repetitive. No!!!! !, I think you will not sing it again!!!! 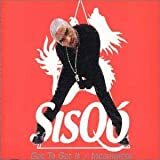 Okay,we get it Sisqo! Geez, I wouldn't be surprised if he wore thongs. I doen't repeat *quite* as many times as I thought, but still too many.